Malaysia is among the South-East Asian nations that have pledged to spend billions on infrastructure developments, as the country seeks to further boost its economic prominence. Last year during the tabling of Budget 2018, the government allocated billions of ringgit for infrastructure developments, paving the way for the country to provide a much needed support system for the economy. Among the projects listed include the valued RM32 billion Mass Rapid Transit Line 2 (MRT2) and the Pan-Borneo Highway or PBH (RM2 billion). Also, there is the much talked about high-speed rail (HSR) linking Malaysia and Singapore which is estimated to cost more than RM50 billion. 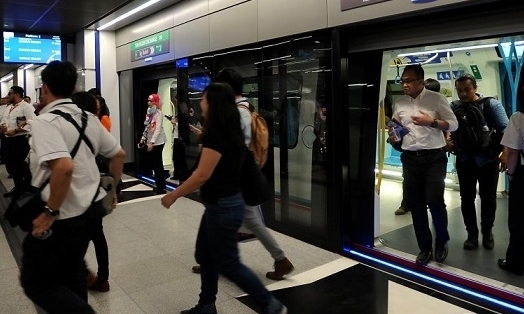 The 11th Malaysia Plan or 11MP (2016-2020) has placed an even greater priority on public transport — especially connectivity from rural areas to the cities. Some of these projects have started and are at various stages of development. Malaysia’s diversified economy, strong manufacturing industry, developed infrastructure and connectivity have made the nation an attractive destination for investment. Last year, trade between the world’s second-largest economy and Asean reached US$514.8 billion (RM2 trillion), a 13.8% jump compared to 2016. China’s top trading partners are Vietnam, Malaysia and Thailand. In fact, China imported more goods from Malaysia than other Asean countries last year. For the last 40 years, Malaysia has been investing in infrastructure development and more prominently, in the mid-1970s with the 3MP 1976-1980. An analyst at a local investment bank said Malaysia has come a long way from people queuing for hours for the iconic bus mini to a nation with one of the best transportation infrastructure systems in South-East Asia outside of Singapore. Knight Frank in its 2018 outlook on markets across the Asia Pacific see positive demand for office space and residential homes in established and upcoming decentralised locations along the rail transportation routes. The TRX MRT station, one of two interchanges between the Sungai Buloh-Kajang Line and the upcoming MRT2, provides the connectivity sought by companies. Initiated under the Economic Transformation Programme, the HSR is expected to improve the economic dynamism of Kuala Lumpur, slashing travelling time from the capital to Singapore to an estimated 90 minutes compared to the four-hour drive presently. The express rail service from Bandar Malaysia to Jurong in the republic will run every 30 minutes, despite there already being about 60 flights shuttling between Kuala Lumpur and Singapore. Slated to be completed by 2026, the 350km line is estimated to cost RM65 billion. The project is overseen by MyHSR Corp Sdn Bhd and Singapore’s Land Transport Authority. This highway is said to become the backbone of transportation between Sabah and Sarawak when completed in 2022. It will play a major role in opening up economic corridors and opportunities. All 35 packages under the first phase of the project are expected to be running in stages by the end of the first quarter this year. So far, five packages worth RM1.7 billion have been approved. Last year in November, the sixth was officially launched by Prime Minister Datuk Seri Mohd Najib Razak worth RM900 million. The highway consists of 1,236km just within Sabah itself. A rail line under the Klang Valley MRT project, the MRT Sungai Buloh-Serdang-Putrajaya Line is slated to be operational by July 2021. The cost is estimated to be about RM32 billion. The line, stretching from Sungai Buloh to Putrajaya, includes a 13.5km underground track to support 11 of the stations. MRT Corp Bhd has so far awarded 23 out of 73 work packages worth RM24 billion to various contractors, with initial works having started in June 2017. The MRT is said to be a game changer for the country’s public transportation system. It will be supported by feeder bus services and facilities to assist consumers like parking lots. The completion of the system will ensure travelling into Kuala Lumpur or on the fringes of the capital will be on time and efficient.